GSN was appointed as the Exclusive Distributor for marketing and distribution of FTi-7 fertilizer in Malaysia since 2010. Major role of GSN is to appoint and handle all Dealers, Agents and Stockist in major towns in peninsular Malaysia. 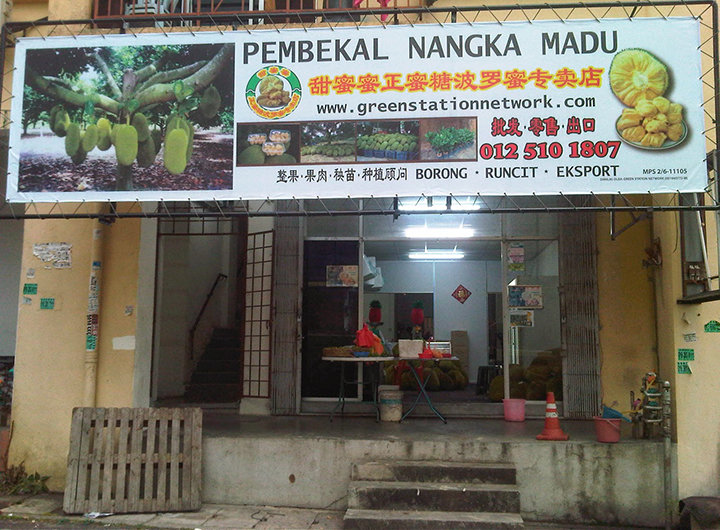 Ecogreen Solutions Sdn Bhd had been appointed for the East Malaysia market and handling the supporting and distributions with its sub-agents directly. FTi-7 is marketed all over the world by different country distributors and under their preferred brand name with the similar ingredients. FTi-7 fertilizer had proven positively good result for our jackfruit plantation. Yan Lee Agriculture Trading. Yan Lee Agriculture Trading is our related company with 30 years experience in jackfruit cultivation, supplies of whole-fruits & cut-fruits to the local and overseas market. GSN is the world distributor for our Yan Lee farm jackfruit and Yan Lee Jackfruit Young Trees supply for new plantations. We can provide advice on how to apply FTi-7 onto jackfruit trees producing high quality jackfruits. Mrs. Hee has helped her parents achieve their goals so that the fruits of Yan Lee can be felt by everyone. The response from our customers is that we appreciate the fruits of this jackfruit can be further enhanced in the future and bring the proceeds from foreign exports to foreign countries. Mrs. Hee is satisfied with the honey jackfruit business that received a warm welcome from all the community and also honey jackfruit. Puan Hee's parents are the ones who have begun working hard for more than 30 years in our jackfruit farms to obtain quality and quality jackfruit products for export and local markets. Some of our honey jackfruit stocks are in stores for the local wholesale market. Customers can get the fruit from our store.